Looking to rent a mobile home lot? 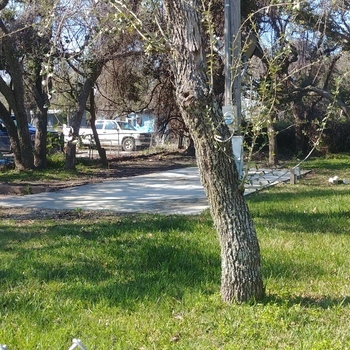 MHBay.com has 1 mobile home lots near 78474 (Corpus Christi, TX). Shaded fenced 40x130 lot in Rockport. 15x45 concrete slab, 50 amp connector, city water and sewer. Pets ok. Tenant responsible for all utilities. $400/mo, $200 deposit.